The UFC returns to the Rod Laver Arena in Melbourne, Australia, on Saturday, Feb. 9, for the first time in over two years. UFC 234 is the second pay-per-view event of the year and the first held in the eastern hemisphere. The UFC middleweight title is on the line in the evening’s headliner when reigning champion Robert Whittaker looks for the second defense of his belt against top contender Kelvin Gastelum. Since moving to middleweight in 2014, Whittaker has not lost a fight. 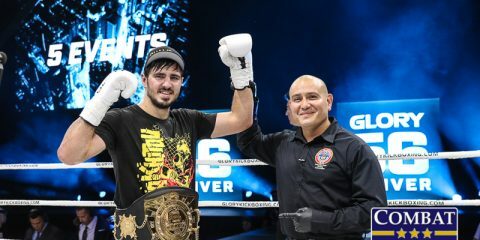 “Bobby Knuckles” has won eight straight contests, including bouts over talented fighters Yoel Romero (twice), Ronaldo “Jacare” Souza, Derek Brunson and Brad Tavares. Gastelum made a similar change in 2016 when he moved up a division following weight-cutting concerns. The move paid off for the 27-year-old, who added big wins over former UFC champ Michael Bisping and the aforementioned Jacare. Generational talents will cross paths in the co-main event. One of the greatest MMA fighters of all time, Anderson “The Spider” Silva, is out to put a halt to the meteoric rise of Israel Adesanya, who has absolutely dismantled the middleweight division on his path to greatness. Silva, 43, will need to be in prime form to contend with one of the greatest prospects in MMA today. Three additional bouts round out the main card. Submission ace Rani Yahya meets former Legacy Fighting Alliance bantamweight champion Ricky Simón, who is currently riding a seven-fight winning streak. The Ultimate Fighter 26 alum Montana De La Rosa puts her two-fight winning streak on the line against undefeated Australian prospect Nadia Kassem. The pay-per-view kicks off with “Smilin’” Sam Alvey, who meets unbeaten Australian light heavyweight Jim Crute. All of the action kicks off on UFC Fight Pass at 6:30 p.m. ET. The preliminary card continues with four more fights at 8 p.m. ET on ESPN. The main card begins at 10 p.m. ET with five fights on pay-per-view. Combat Press writers Matt Petela and Zach Aittama. Reigning UFC middleweight champion Robert Whittaker has not lost a fight since moving up from the welterweight division. Make the case for why challenger Kelvin Gastelum could be the first man to hand the Aussie a setback as a middleweight. Petela: Gastelum’s only loss at middleweight in the UFC came against Chris Weidman, an All-American wrestler who was able to control Gastelum with superior grappling. That led to a third-round arm-triangle submission, but Gastelum had his moments in the fight, including a knockdown at the end of the first round that nearly ended the contest. 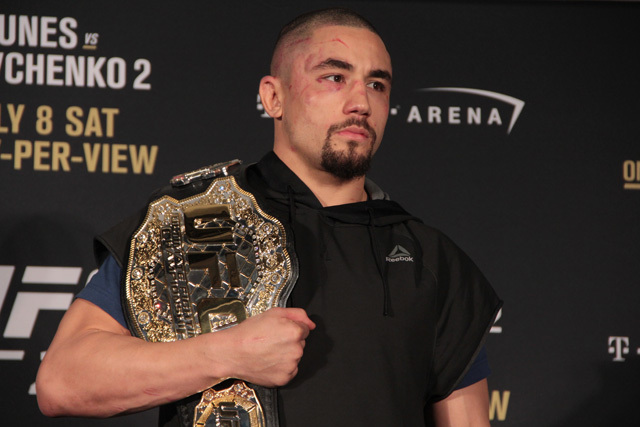 This fight should largely take place on the feet, and while the overall striking advantage goes to Whittaker, we have seen time and time again that anything can happen in MMA. Gastelum has the power and accuracy in his hands to clip Whittaker early and end the Australian’s reign as champion. The other thing to consider is the pressure Whittaker is facing by defending his title at home in Australia. His last fight in Australia was a first-round TKO over Derek Brunson, but it is unlikely that Gastelum will come out overly aggressive with his hands down and chin up the way Brunson did in that bout. If the nerves get to Whittaker, though, then Gastelum could capitalize and control the early part of the fight to a degree that, even when Whittaker is settled in, the deficit on the scorecards is too much to overcome. Aittama: It’s interesting that my colleague mentioned that Whittaker could be feeling the pressure and gravity of this match-up due to his stature as Australia’s own. The New Zealander, who now resides in Australia, seems to take everything in stride. As a lifetime martial artist, he approaches his life the exact same way he comes into fight week: calm, cool and collected. Whittaker has put in the time inside (and outside) of the Octagon and the results have shown. 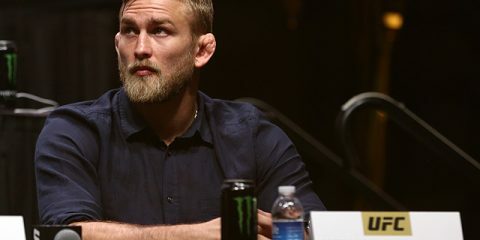 Even though Whittaker has been given more responsibility leading up to the fight, it really hasn’t seemed to faze him. Let’s not forget, Whittaker was initially scheduled to rematch Yoel Romero in Perth in early 2018. Whittaker’s ability to stay calm outside of the cage leaks into his fighting style inside of it. His highlight reel features a number of devastating knockouts, but what makes the middleweight so great is his ability to do the small things in the cage. In the striking realm, Whittaker’s ability to throw feints, fakes and counters, as well as initiate the attack, helps him control the space and distance at which the fight takes place. He can close the gap quicker than most in the sport today. He combines an excellent boxing game with a traditional martial-arts background that features various kicks that not only help to perpetuate his game plan with his hands, but do significant damage on their own. Gastelum is a skilled striker in his own right. The southpaw has mastered simple combinations that have shown to work time and time again throughout years of combat-sports history. The lead right straight-left hook combination, a jab-right straight, and his left straight have brought the 27-year-old great success in his UFC career. Gastelum has made a career out of proving people wrong. He toppled one of the most hyped prospects to win The Ultimate Fighter. He overcame shortcomings at welterweight and brought his career to new heights with a move up to middleweight. Despite being the smaller man, Gastelum, through continued improvements in his striking game, tenacious wrestling ability, and a surprisingly quick submission attack, has become one of the more difficult threats in the division. While this battle of southpaws should largely take place on the feet, Gastelum’s transitional wrestling could be an interesting factor. Whittaker showed off his incredible takedown defense in his back-to-back battles with Romero. However, Gastelum doesn’t need to score the takedown for his attempts to be effective in drawing out movements and attacks from the champion. Whittaker was hurt badly in multiple rounds during his last fight with Romero. If Gastelum can mix in his feints and the threat of wrestling, then he could open up his striking game. However, that’s easier said than done against a fighter with the counter-striking ability of Whittaker. Is the middleweight co-headliner between the legendary Anderson Silva and rising star Israel Adesanya going to serve as a handing off of the torch? Aittama: The answer is fairly simple. It may be hard to hear for most MMA fans, especially the ones who grew up watching Silva dismantle Carlos Newton with a flying knee in Pride or stiffen up Tony Fryklund with a back elbow in Cage Rage, but Adesanya is a far more skillful, technical and adaptive striker than Silva has ever been. Adesanya’s ability to control the distance, expertly evade his opponent’s attacks, intelligently counter, and pour on his own offense has brought his skill set to the forefront of the masses. Most people had not heard of Adesanya prior to his UFC debut in 2018. 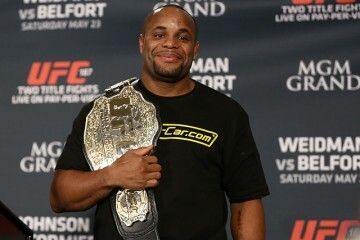 However, he has been one of the best strikers in MMA for years. Adesanya competed at the highest level of the sport of kickboxing for many years. He was known as a competitor who would clown his opponents with his mastery of movement, lightning-quick reflexes, and brash showmanship. His ability to make small maneuvers to counter, defend and set up his return give him an edge over even the best competition. Adesanya’s fighting style doesn’t fit into the mold of any other fighter. He can adapt to fit any opponent, which gives him a gigantic advantage over the majority of his competition. “The Last Style Bender” has evolved into one of the most dangerous fighters in MMA since deciding to make the switch full-time. Silva is one of the greatest fighters to ever compete in MMA. The lanky Brazilian was an accomplished fighter prior to his UFC debut. He had already won a Shooto world title against Hayato Sakurai, captured Cage Rage gold against Lee Murray, and defeated top competition in Pride. However, he entered the Octagon as an unknown to most of the viewing audience. It only took one fight for people to recognize the talent before them. Silva’s 49-second destruction of popular TUF alum Chris Leben kicked off the longest winning streak in UFC history and eventually led to the longest title reign in company history. Silva not only accomplished feats that many fighters couldn’t even imagine, but he changed how fighters approach the sport. Silva, via his Muay Thai clinch, made Rich Franklin look like a small child. He turned Forrest Griffin into a punching bag, and he sent Vitor Belfort into the next dimension with a front kick to the jaw. Silva will always be held in the highest accord because of his incredible accomplishments, exciting fights, and what he contributed to the sport. However, now it’s time for him to pass the torch to Adesanya. I wasn’t being facetious when I said this was a battle of generational talents. At age 29, Adesanya is not on the path to greatness — he’s already almost at the top. These competitors may be headed in different directions in their careers, but their paths will ultimately be similar when everything is in the record books. If Adesanya does defeat Silva, then it would be foolish for the UFC to hold him back from a title shot. Petela: There has always been and always will be a passing of the torches in MMA. This fight just so happens to illustrate this in the purest way possible. Not only is Silva the older veteran on the backside of his career, but he is facing a fighter who brings with him to the table a remarkably similar skill set that defined Silva’s success in the UFC. Adesanya’s kickboxing pedigree resembles the style that Silva likes to utilize, though he has rarely found a dance partner willing to exchange on the feet with him. The younger, fresher Adesanya should have the advantage in precision and speed at this point in their careers. However, Silva will be happy to engage in a kickboxing bout with him, going strength against strength. 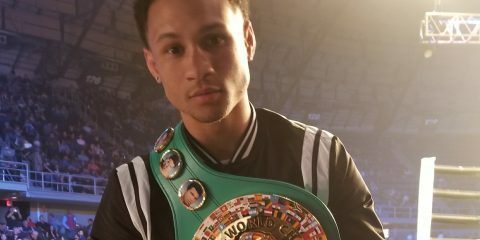 Adesanya has to get a title shot next. There is no other logical opponent for him or for the champion, whoever that is after the main event. If it does end up being Whittaker and Adesanya for the belt, then the fans are in for one heck of a treat. Neither one of these two men knows how to be in a boring fight, and they have an uncanny ability to stay composed and keep their striking measured and accurate in any given situation. Raulian Paiva, Marcos Mariano and Callan Potter — do we need to know these names? Petela: Potter has won nine of his last 10 fights. His lone loss came by heel hook to submission ace Marcin Held. Potter is ranked among the best Australian lightweights, and he has a chance to make a name for himself on the big stage at Rod Laver Arena when he takes on Jalin Turner. A win over Turner sets Potter up for a chance to climb the ladder at 155 pounds with the added kickstart of securing his first win in front of a hometown crowd. Aittama: Potter makes his UFC debut on short notice, but he earned his shot on the regional level. He has proven himself as one of the top Aussie lightweights over the past few years. He not only brings an exciting style to the table, but he also knows how to finish fights. The 34-year-old veteran has earned stoppages in 16 of his 17 victories. As I’ll highlight later on in this preview, Paiva is a flyweight prospect to watch. The Brazilian has won 18 of his 19 fights while competing on the regional circuit in Brazil. He has yet to face top competition, but he is in store for a difficult match-up in his UFC debut. The 23-year-old has to face one of the biggest hitters in the division. If Paiva surprises the masses and defeats Kai Kara-France in his Octagon debut, he will put himself in prime position to make a name for himself. Meanwhile, Mariano doesn’t bring much to the table. The 32-year-old has only six wins in 10 fights. Mariano doesn’t set himself apart from other fighters making their promotional debuts. He has won four of his past five fights, but he will likely lose his debut against the high-flying Lando Vannata. Who’s the biggest winner at UFC 234? Aittama: Israel Adesanya. Call it favorable matchmaking. Call it terrible matchmaking. It doesn’t matter. Either way, it’s happening. Adesanya has drawn comparisons to Anderson Silva throughout his undefeated Octagon run. He has said that watching Silva is what drew him to combat sports. The vision of a man of similar stature dominating a sport was intriguing to a young, impressionable Adesanya. Now, the Nigerian-born contender is on the doorsteps of walking down a similar path to success. He has stated his adoration for his inspiration, but he hasn’t been shy in predicting the outcome of their meeting. Adesanya is coming to take his place amongst the top fighters in the sport, even if it means destroying one of his idols in the process. Petela: Robert Whittaker. It doesn’t get bigger or better than a title defense in front of a hometown crowd. With an impressive performance and decisive victory over Gastelum, there would be no doubt who the best middleweight is, and “The Reaper” will be more than ready to take on the winner of the co-headliner next. Who’s the biggest loser at UFC 234? Petela: Anderson Silva. I don’t know where he goes from here, other than into retirement. Between a lackluster win over Derek Brunson, drug suspensions, and what I anticipate to be a thudding defeat at the hands of Adesanya, we have seen all the greatness Silva has to offer. It’s time for “The Spider” to hang up the gloves, but he may be hesitant to do so, given his confidence and supreme desire to compete at the highest level. Aittama: Kelvin Gastelum. Since moving to middleweight in 2016, Gastelum has finally started to hit his stride. 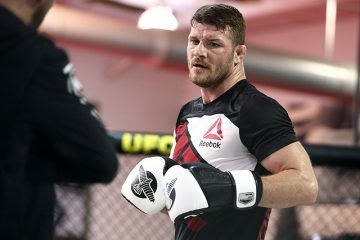 Victories over former champion Michael Bisping, top contender Ronaldo “Jacare” Souza and Tim Kennedy pushed him into the opportunity to coach on The Ultimate Fighter and fight for the middleweight title. Unfortunately, this is where Gastelum’s run ends. The talented middleweight has the fundamental skills, aggressive style, and toughness to beat most of the fighters in the division. However, he will likely come up short against the champion in a closely contested battle of wills. Where would a loss put Gastelum in the ever-changing middleweight division? Are Yoel Romero, Luke Rockhold and Chris Weidman going to stay at 185 pounds or move on to bigger (and potentially better) things? As for right now, fighters like Jacare, Romero and Paulo Costa sit near the top of the division. If Gastelum loses to Whittaker on Saturday, then he will likely be pushed to the back of that list. He won’t stay outside of contention for long, but he is scheduled for at least a small setback following the event in Australia. 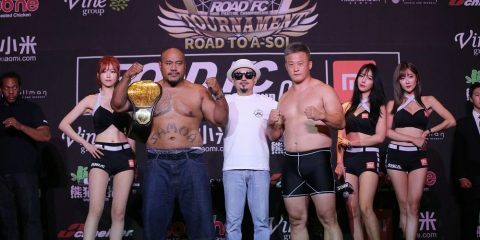 Aittama: This card features a number of hidden gems, but the flyweight match-up between hard-hitting Kiwi Kai Kara-France and Brazilian prospect Raulian Pavia could be one of the best fights on the card. Kara-France, 25, began his combat-sports career at a young age. The talented striker really started to hit his stride in 2015 while competing under multiple rulesets, including Muay Thai and boxing. Kara-France has racked up 11 wins in his past 12 fights, with stoppage victories in eight of those contests. Appropriately nicknamed “Don’t Blink,” he trains in Thailand and now with City Kickboxing in Auckland, New Zealand. His time at these camps has helped Kara-France develop into a well-rounded martial artist. Pavia enters his UFC debut having won 12 straight fights, including victories over UFC veteran Iliarde Santos and former Rizin fighter Allan Nascimento. The 23-year-old defeated the aforementioned Nascimento on the first season of the Brazilian edition of Dana White’s Contender Series. The Brazilian brings his hot streak into the Octagon against one of the hardest-hitting flyweights in the world. Despite losing out on a UFC shot during TUF 24, Kara-France made it clear he wasn’t going to be denied a UFC roster spot for long. As his grappling begins to match his striking skill level, the young prospect will begin to push his way up the rankings. Petela: Nadia Kassem and Montana De La Rosa. As the UFC builds the women’s flyweight division, De La Rosa has a chance to be one of its breakout stars. With wins by submission in her two UFC appearances, she has a chance to stake her claim as a true prospect-turned-contender in the newly established division. She won’t be too far away from a title shot if she can continue to rattle off impressive victories, including on against her UFC 234 opponent, Kassem. Petela: Allagash White. It’s a nice, enjoyable beer that you can sip throughout the night. Only the Octagon action is more impressive than the beer touching your lips while some of the greatest mixed martial artists take center stage at or close to their homes down under. Aittama: Succession. The stakes at hand in the main and co-main events could see the middleweight division change in more ways than one. Can a 41-year-old all-time great turn back time for one more shot at the title he lost years ago? Will his appointed heir to the throne follow in his footsteps toward greatness? Can the tenacity of the challenger push the champion to the breaking point, or will the champion keep the middleweight title in his adopted home?